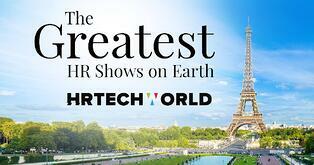 We are happy to announce PeopleDoc will be exhibiting for the 2nd time at HR Tech World Paris. The World’s foremost Congress & Expo is recognized globally as the leading event on the Future of Work - and you won't want to miss it! Let’s face it, rapidly changing workforce expectations are setting the bar higher than ever for how HR services should be delivered. HR Tech World Paris is bringing together all the latest HR Technology trends, including: SaaS, Mobile, Analytics and more, along with traditional technologies to keep conference attendees up-to-date and ready to take on the future of work. 1. 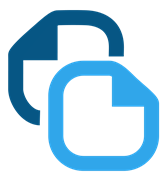 Experience a complete HR Service Delivery platform, including HR Case Management with Knowledgebase and Employee Portal, Digital Employee File Management, and HR Workflow solutions. 2. What are employees expecting from HR? We asked random employees on the streets of New York City. Here's a short clip - you can see the entire interview at our booth! 3. Receive complimentary access to Gartner's latest research on HR Service Delivery. Digital HR & Cultural Big Bank, a keynote by Myriam Couillaud, Head of HR HSBC France, on October 25 at 12:05, Room 243, Level 2. Myriam Couillaud will explain how transforming the Employee Experience with Digital HR at HSBC. Empower your HR Shared Services with PeopleDoc, a demo session by Clément Buyse, COO and Co-founder of PeopleDoc, on October 25 at 10:55, Product Demo Room 252A. 5. Have fun and play a game with us to experience Digital HR Transformation. We're committed to helping you Work Different.